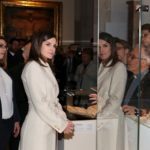 The patron of National History Museum Duchess of Cambridge Catherine, an art lover, attended the launch reception for Hope along with Sir David Attenborough. ‘Hope’, a new giant star of National History Museum, is a blue whale skeleton called ‘Hope’. The replacement of much loved museum attraction ‘Dippy’ that is going on an international tour, Hope is a 25.2 metre mammal suspended from the ceiling and will greet the visitors at their entrance through front door of the Museum. Duchess greeting the guests at the launch. I, personally, have always been in awe of the sea. As someone who has been fortunate to experience scuba diving, something I love doing, and seeing the incredible marine life, I have come to care deeply about life under our waters and the conservation of our oceans. 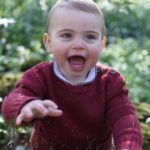 You can read full speech at Royal Website. 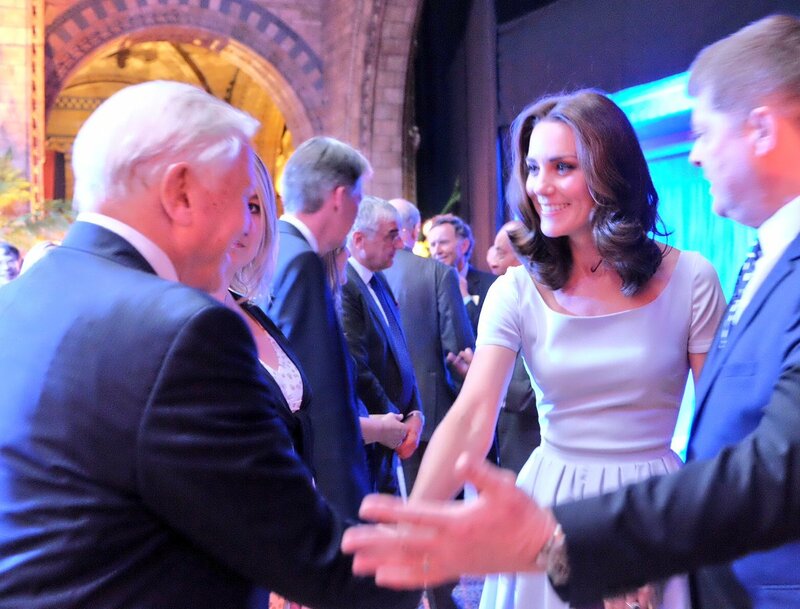 Kate told Sir David “Hope the whale tells a completely different story to Dippy the dinosaur. You must have seen a few changes here over the years”. 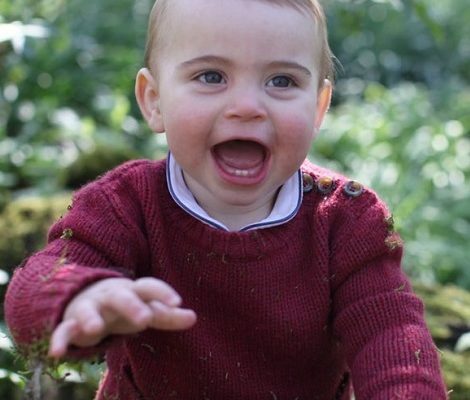 Later on Duchess enjoyed the Museum tour and mingled with guests. For tonight’s event Duchess wore Preen Everly stretch-crepe dress by Thornton Bregazzi. Big thanks to @regalreplikate for the ID. 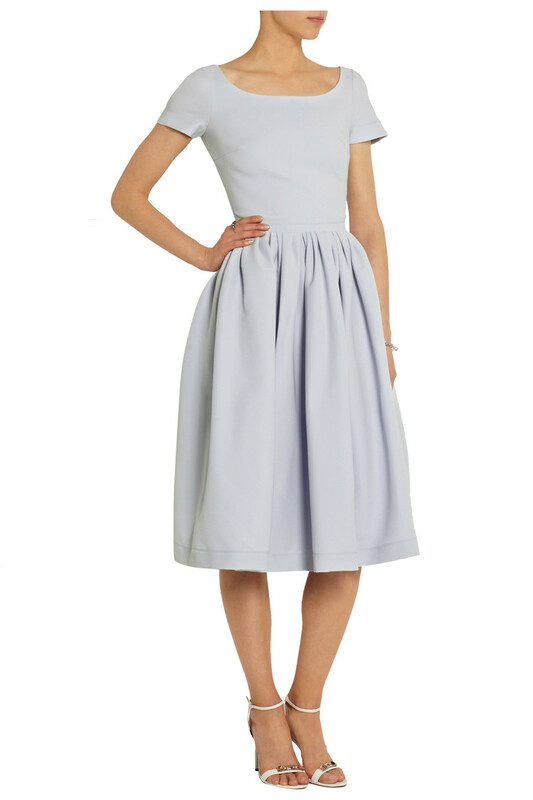 The partially lined ‘Everly’ dress is cut from stretch-crepe with a flattering gathered waist, features short sleeves and zipper at the back. 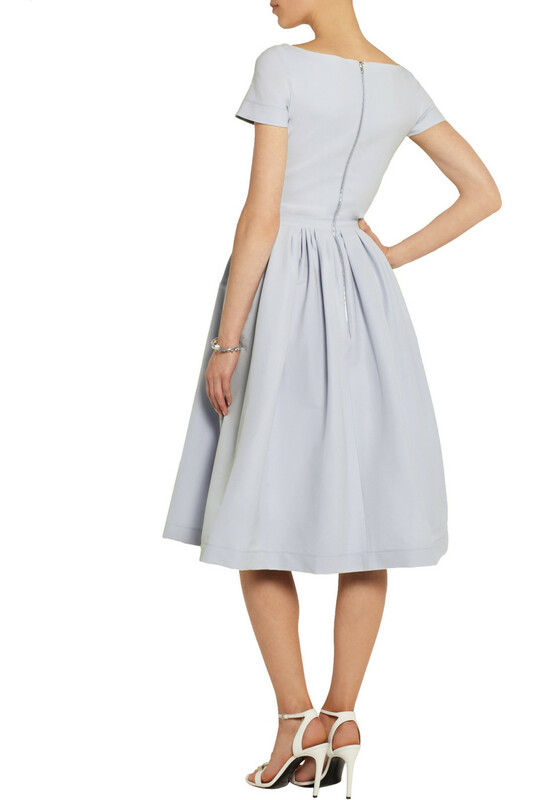 Dress is currently available at Net-A-Porter for £637. Duchess paired the dress with plum coloured(initially I thought they are black) Prada Scalloped suede sandals that are currently available in black tone here at $820. 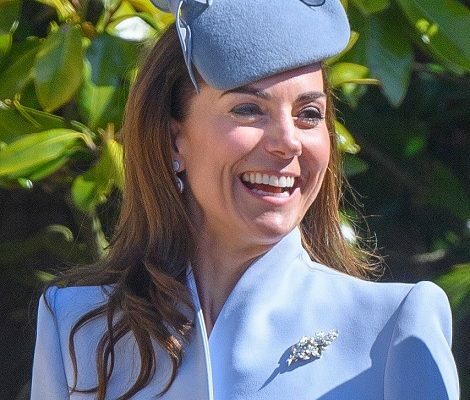 Kate paired her outfit with Cassandra Goad Temple of Heaven earrings. 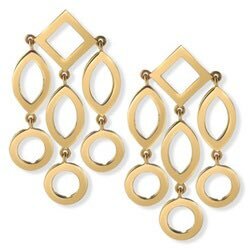 Earrings are available on order for £1,685.00. 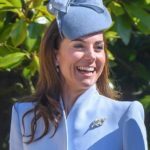 Tonight Duchess of Cambridge was seen carrying a new clutch bag in purple tone that we believe is from Jerome C. Rousseau but yet not confirmed.Huge thanks to @Japanese_Ginger for the tip.